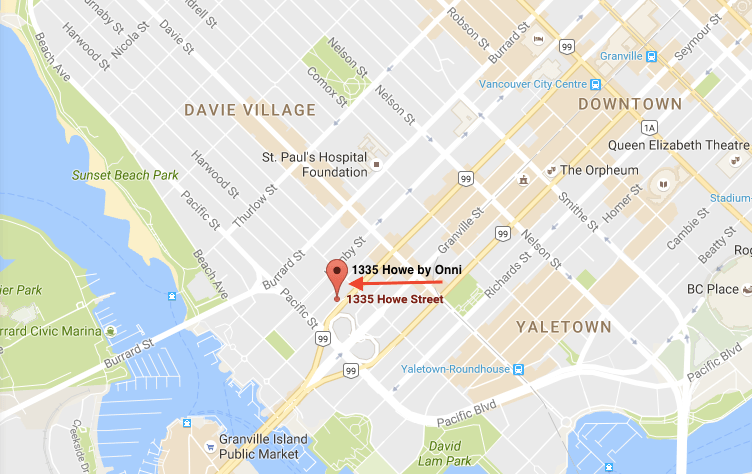 Condo developper Onni will be redeveloping 1335 Howe Street. The former Quality Inn hotel will be transformed into a 40 storey condo tower consisting of 120 residences. Nestled in the heart of Vancouver’s Beach district and just steps to the False Creek waterfront. The project will consist of 2, 3 and 4 bedroom homes ranging in size from 1100-5600 square feet. The development will also consist of an additional 109 secured market rental homes and 430 total parking spots. You can register for the project on Onni’s website here.